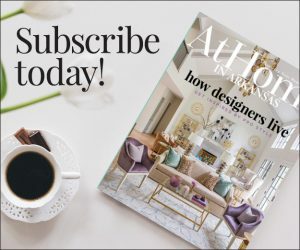 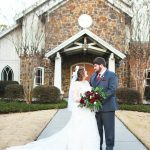 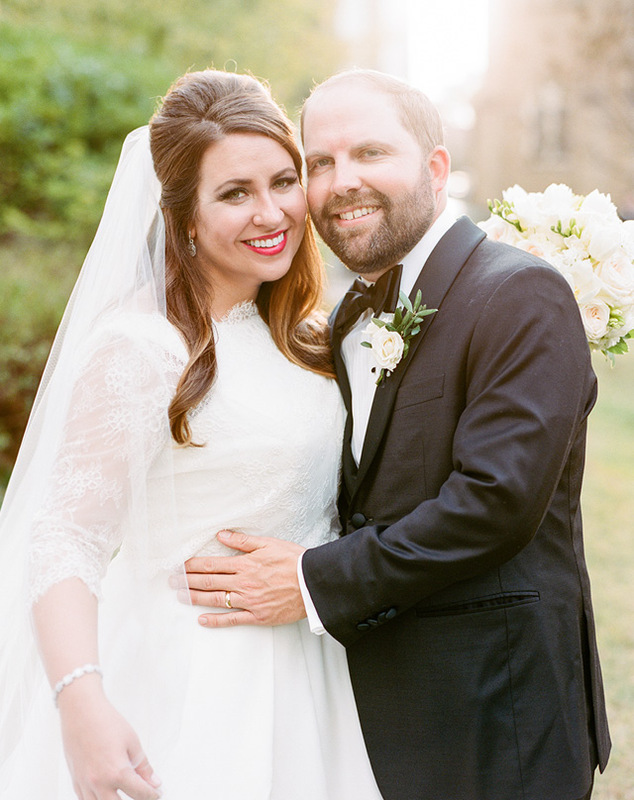 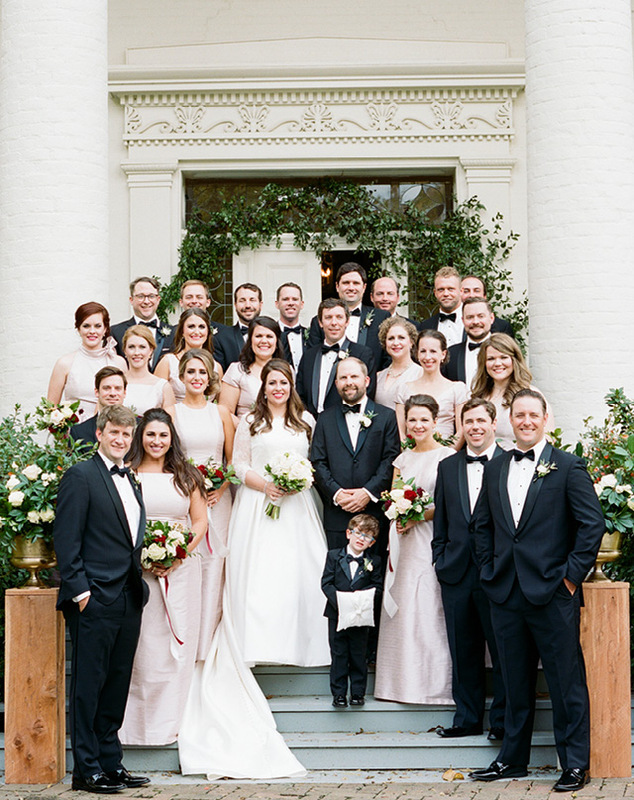 When Weddings in Arkansas staffer Jessie Russell and John Fuchs started planning their wedding, they knew they wanted to strike a balance between traditional and relaxed. 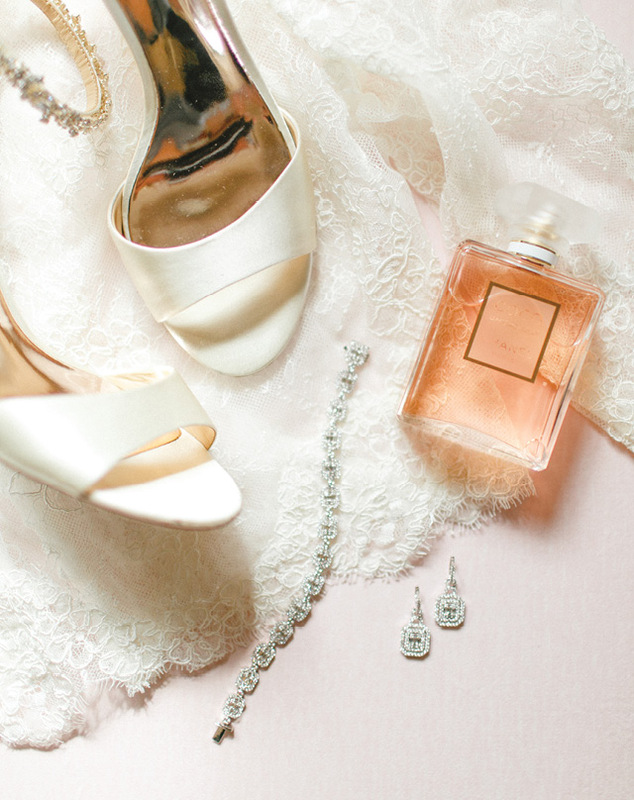 They set this tone right away with an invitation suite designed by the bride herself. 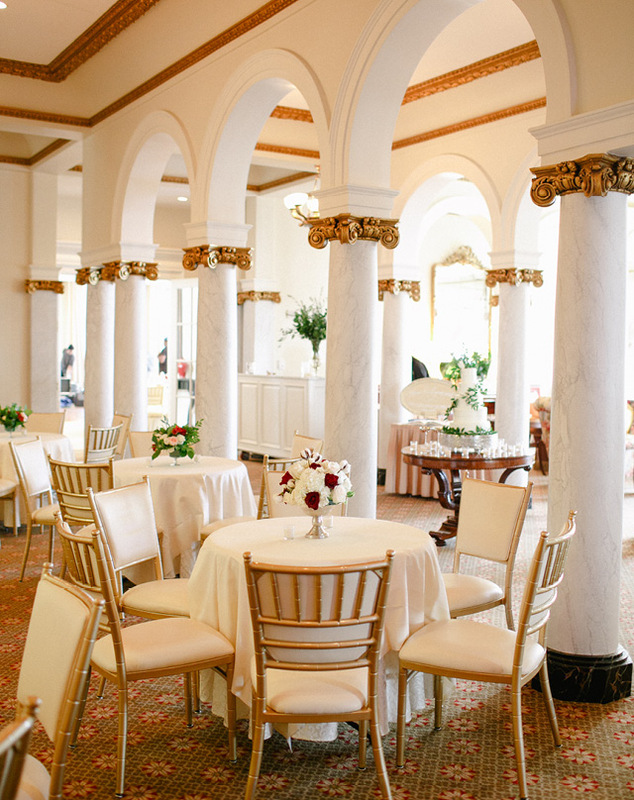 “I wanted to give our guests a hint of what our wedding would be like—formal and regal, but not stuffy.” The suite’s gold foil and edging, classic calligraphy, and velvet ribbons paired with playful watercolors—including a portrait of the couple’s Golden Retriever, Emma, on the response card—hints at their fun and easygoing personalities. 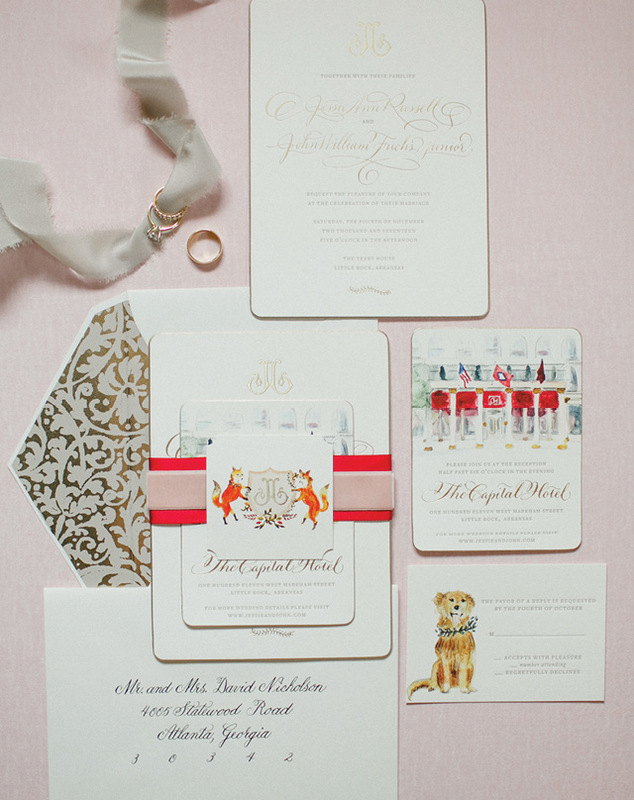 Jessie’s invitation design included a crest composed of her and John’s first initials held by a pair of foxes, a nod to their surname, which is pronounced “fox.” Jessie was so inspired by the process of designing her own suite that she decided to start a small business creating custom invitations for other brides. 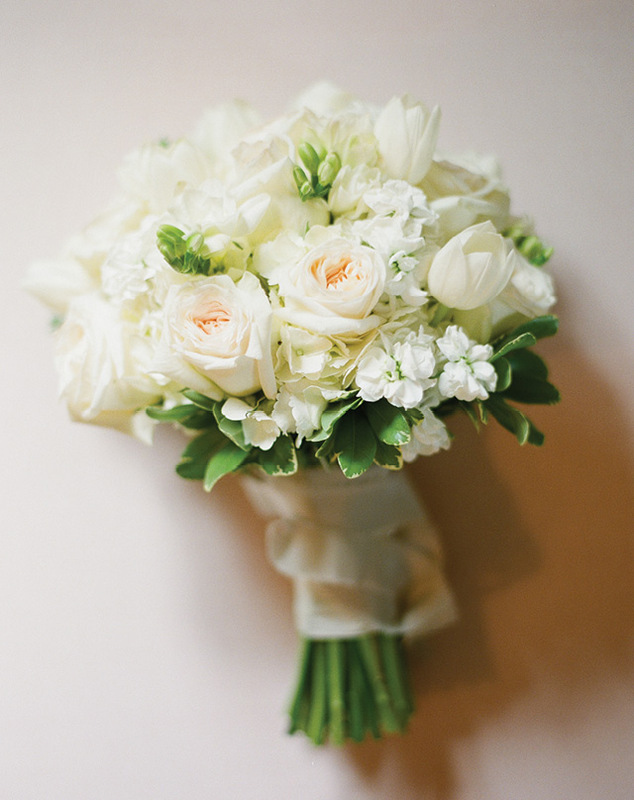 The bride’s bouquet was an arrangement of white and ivory garden roses, tulips, and spray roses designed by Tipton & Hurst. 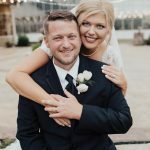 While her shoes, earrings, bracelet, and lace jacket were new, Jessie wore her sister’s veil as her “something borrowed.” “She is my best friend, so it was really special,” Jessie says. 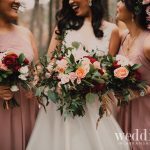 The bride wore a Martina Liana A-line wedding dress with a lace jacket, and her bridesmaids wore blush Alfred Sung dresses in varying styles. 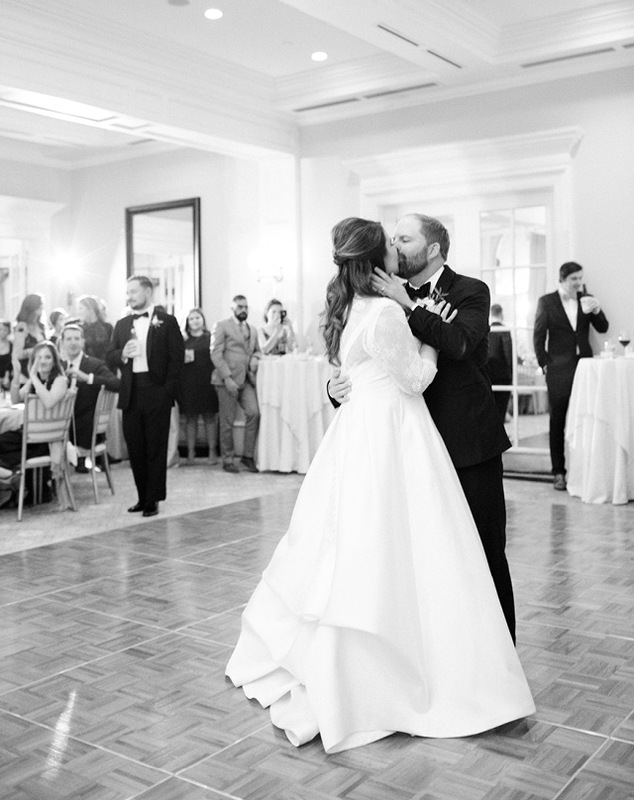 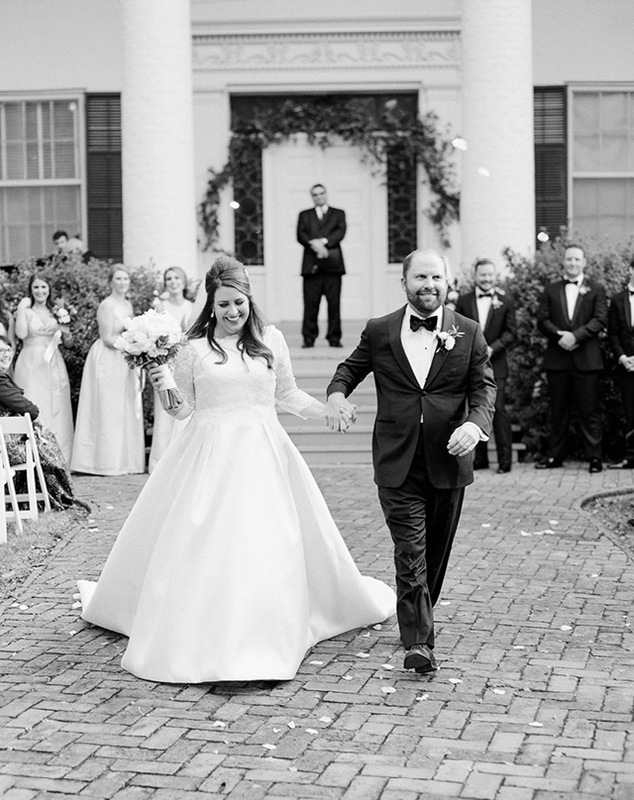 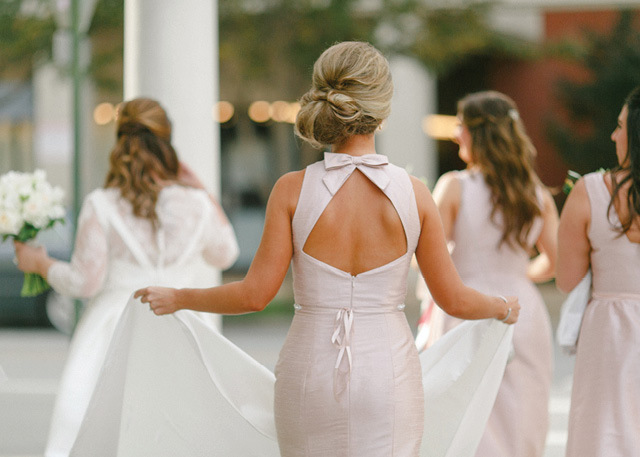 Little Rock’s historic Terry House served as the backdrop for the couple’s Southern-inspired ceremony. 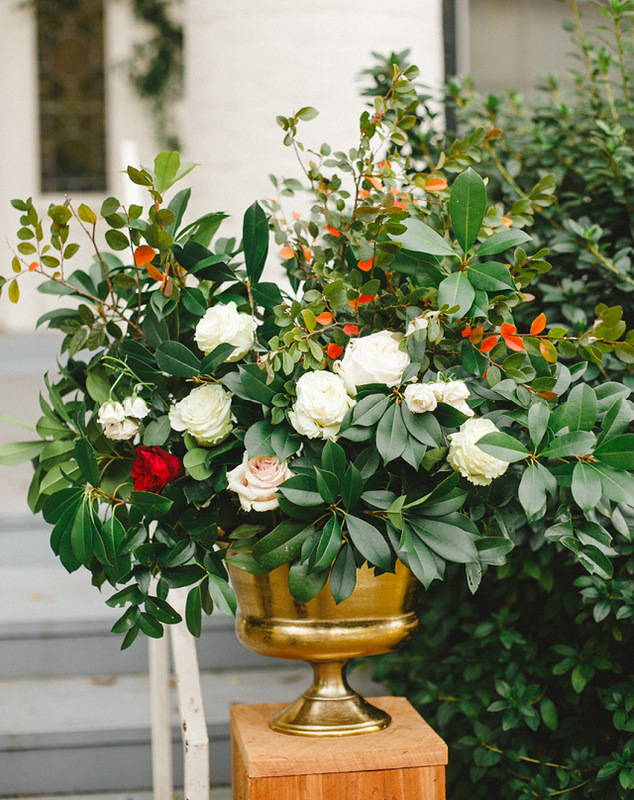 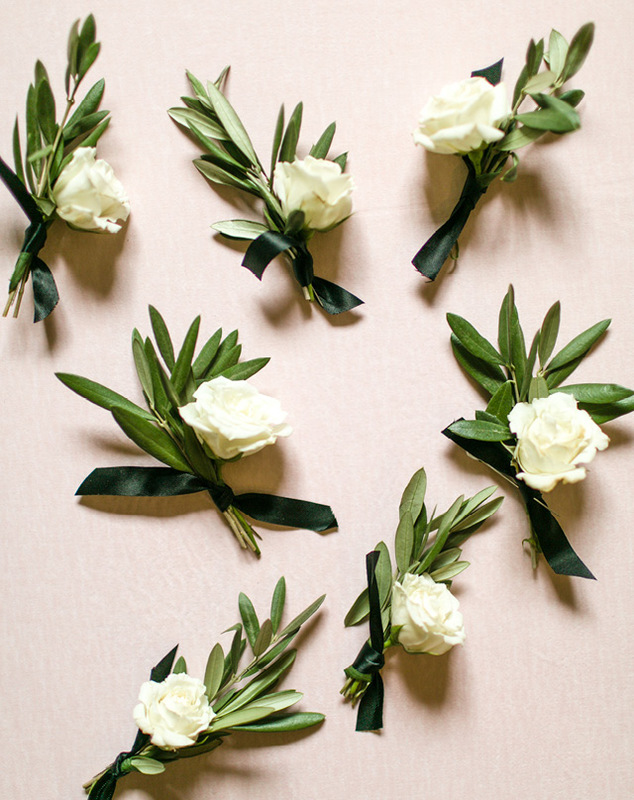 Floral arrangements of blush and ivory garden roses, ranunculuses, and rose hips were designed by CDJ Floral Design Studio and Bloom House, owned by friends of Jessie’s from her home state of Oklahoma. 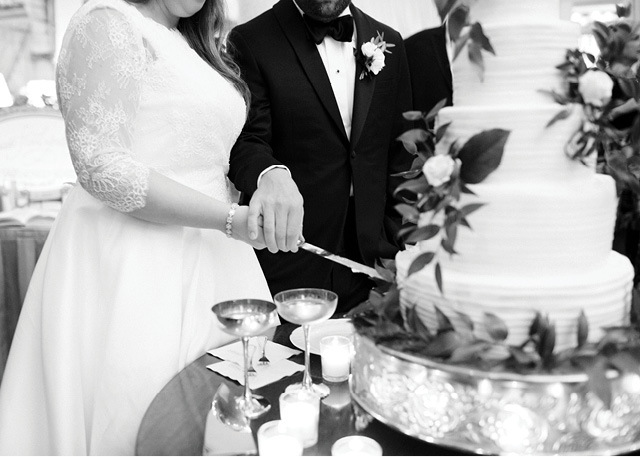 After a menu of Southern favorites that included shrimp and grits, oysters Rockefeller, and fried chicken, the bride and groom cut into a five-tier Italian cream cake by Kelli Marks.